Traumatic brain injury (TBI) instances are considered unique and special case types under Florida Personal Injury law. The state recognizes the vital nature of the brain as essential to all other aspects of life. 1.4 million Americans must deal with the ramifications of an undeserved brain injury each year. 50,000 of these people die on an annual basis, despite intensive professional treatment. The effect on family and friends cannot possibly be measured. With the right help, the Florida court system can help victims of TBI to receive the financial and legal support they need to make the most successful recovery. However, the following considerations must be taken into account. Is TBI the same as a concussion? TBI is actually more severe of an injury than a concussion. Traumatic brain injuries are defined by the creation of ongoing physical or mental injuries. Cases of TBI leading to permanent injury, a vegetative state or death are also much higher. Keep in mind that you do not have to be in a car in order to fall victim to a TBI car accident case. You may be a pedestrian who was hit by a negligent driver. This driver may be behind the wheel of a traditional four wheel vehicle, a motorcycle or another kind of motor vehicle. There are different levels of TBI as well. Closed head injury – Caused by the movement of the brain inside of the skull, this type of TBI may not be obvious at first. Medical scans are essential. Diffuse axonal injury – A special kind of closed head injury in which the brain is jostled forth and back inside of the skull. The telling symptom of a diffuse axonal injury is a loss of the brain’s ability to send messages between axons. Open head injury – This is the most obvious kinds of TBI. An open head injury occurs when the victim has actually sustained visual injuries to the brain that may be visible in the form of head trauma such as bleeding, pulsing or exposed layers of the body. What are some of the effects of sustaining a brain injury during a car accident? The effects of TBI caused by an automobile can be incredibly severe. Here are just a few of the ways in which a victim might be affected. Can cause ongoing mental, emotional and physical pain. This is far from an exhaustive list of the effects of TBI. Treatment for the conditions caused by TBI can create medical bills in the hundreds of thousands of dollars. Other chronic symptoms that do not necessarily coincide only with TBI may include the following. These symptoms are especially important to watch for in children who have just been in a car accident. They may not be able to fully appreciate the reason for their symptoms or articulate what is happening to their bodies. If I or a loved one has been a victim of TBI, how do we gain restitution from the Florida court system? Florida civil law provides for legal recourse if the injury of a victim is caused through the negligence of another. Because of the intense nature of TBI, the law carves out special considerations for the condition. It is first necessary to prove the level of guilt of the negligent party. Depending on the way that facts are presented in court, the court may find a driver either partially or wholly responsible for TBI. The underlying purpose of TBI Florida law is then to secure compensation for the victim that gives the highest chance for a timely and full recovery. How can I secure my financial restitution from the court system? If you or a loved one is the victim of a car accident with the extenuating factor of TBI, you can bet that your opposition in court will have a team of lawyers whose sole purpose is to reduce their responsibility to you. Do not contact or take any communications from the opposing party until you have retained professional legal counsel – not even communications that seem friendly, apologetic or personal. If you or a loved one have suffered TBI from the negligence of another, Verderamo & Nunez is here to help you. Let us protect you from a legal standpoint so tha tyou can focus on what is truly important – healing from the physical and emotional ramifications of your victimization. 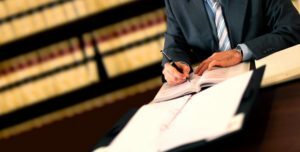 We will fight to ensure the court understands every aspect of your case to the smallest detail. We do not rest until we have attained justice for our clients. However, with TBI, time is of the essence. Give us a call or email now to get the Florida court system working for you. If you were injured in an accident involving a traumatic brain injury and are looking for an accident lawyer in Naples or Ft. Myers, Florida, please do not hesitate to contact the accident attorneys at the Law Office of Verderamo & Nunez to discuss all aspects of your case. The Law Office of Verderamo & Nunez is located at 2662 Airport Pulling Rd S Naples, FL 34112 and may be reached by phone at (239) 775-1004.